Although it’s not something any of us like to dwell on, there will inevitably come a time when you can’t be there to provide for your loved ones. Taking the time to make sure arrangements are in place to ensure they’ll be provided for once you’ve gone can provide you with peace of mind and assure your family’s future financial security. There are a wide range of life insurance products available and before you can compare policies it’s important to understand which form of insurance will best suit your own particular circumstances. Life insurance products can be broken down into two broad groups; policies that have a ‘term’ (a set period of time for which the policy applies) and those that apply for the whole of the holder’s life, with the first category being far and away the most popular. This is one of the most common and cost effective ways of protecting your loved ones against the financial difficulties that they might have to face should you die. Its simplicity lies in the fact that, as well as applying to a fixed term, the amount that the policy stands to payout is also fixed. Whether you’ve held the policy for a day or a decade, you’ll receive the full amount decided upon when you took it out. Likewise, your premiums will stay the same level for the duration of the term. One drawback (if you can rightly call it a drawback) of such policies, is that if you survive the term you’ll receive no payout whatsoever. Moreover, your policy will have no cash in value at any time. On the bright side, at least you’ll still be alive! Luckily, if you do require on going cover once your plan has come to an end, most policies have a guaranteed renewal clause, meaning you won’t suddenly find yourself without the protection you need. Often the premiums offered will be higher on renewing, which is understandable as, with the original term having elapsed, the insurer is much more likely to have to make a payout second time round. You may see this and other life insurance products referred to as ‘assurance’ rather than insurance. There is no difference in policies labelled one way or the other, it’s just some providers use one word and some use the other. 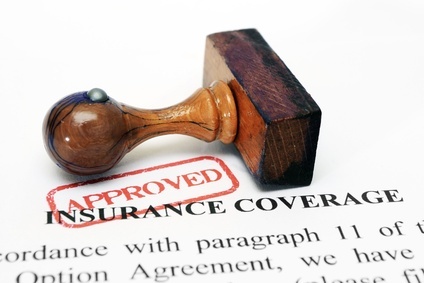 Technically assurance applies when you are insuring against something that will definitely happen, such as death. However, as there’s no guarantee that you’ll die during the term, it’s still called insurance a lot of the time. Whereas level term life insurance offers a fixed pay out no matter when in the term it is claimed, as the name suggests, with decreasing term life insurance (which is also sometimes referred to as mortgage term life insurance) the sum to be paid out goes down over time. This is because the policy is designed specifically to cover the amount left outstanding on your mortgage should you die. As you continue to make repayments and your debt decreases, so to does the amount your policy stands to pay out. Despite the fact that the pay off goes down overtime, the premiums you pay stay fixed throughout the term, just as with a level term policy. The difference is that, as you would expect given that your cover goes down over time, a decreasing term policy tends to be significantly cheaper than a level term policy offering equivalent cover. In contrast to the product described above, with these policies the level of cover you have actually increases over time. In some cases it will be upped annually or at another regular interval as a way of ensuring that the effects of inflation do not diminish the value of your policy. In other cases you can arrange to have your level of cover increased should a certain event occur which marks a major change in your circumstances, for example if you get married or have a child. With these policies you can expect that your premiums will also rise if your cover increases, however, these raises will only ever be a reflection of the increased value of the policy. Your premium rating (the insurers assessment of the level of risk you pose based on your health and other circumstances) will stay the same. So, as with a level term option, changes in your health during the term won’t result in bigger premiums. If you’d prefer your family to be provided with a regular stream of money rather than a single lump sum, you might want to consider using a family income benefit product. Policies have a set term, 20 years being a typical example, during which you pay a fixed premium. If you die at any point during this term your family will receive a set level of regular tax free income for the rest of the term. These policies are not usually renewable, so you can be left without cover at the end of your term. Furthermore, they have no cash in or ‘surrender value’ at any point. If you survive the term you’ll not be remunerated in any way. Obviously, the cover provided by family income benefit isn’t as great as level term insurance and doesn’t allow for the same level of forward planning. However, as they are cheaper, they provide an affordable way to get a basic level of cover. With these forms of insurance part of the premiums you pay go towards assuring the lump sum for your payout, whilst the rest go into a pool of funds which the insurer invests into various assets. The lump sum paid out at the end of the policy will depend on how well these investments perform. The sum you will receive is guaranteed at a certain level, but the extra profits you receive on top of this are determined by how well the investments perform. The profits from the investments are added to your policy annually as ‘reversionary’ bonuses. Once added, your bonuses become part of the policy’s guaranteed sum. These policies have what are know as ‘reviewable’ premiums, rather than ‘guaranteed’ premiums. They will start out at a fixed rate, normally for ten years or so, at which point they will be adjusted. According to how well the investments attached to the policy are doing, your premiums may have to go up to ensure that the guaranteed sum you originally wanted can in fact be delivered. Otherwise the assured sum may have to come down. In recent years many people holding such policies have found their premiums being raised considerably and such policies have come under fire as many consumers have found themselves forced to shell out higher than expected rates simply to maintain the same level of cover. Always be careful to understand what parts of your policy are guaranteed and which are subject to change if you are considering a policy with an investment element. Furthermore, be sure to thoroughly research how well the insurance company’s policies have performed in the past to get an indication of whether they’re one of the providers that have been helping to give these products something of a bad name. Also know as not-profit whole of life insurance, this is a much more straightforward form of insurance. In essence it’s the same idea as level term insurance, in that both the payout and the premiums are set from the outset, only there is no term. The policy only comes to an end when it pays out on your death (assuming you continue to pay your premiums.) As you’d expect, these policies tend to be more expensive than level term options as the insurer knows for sure they’ll have to pay out eventually. There are a number of insurers who provide plans aimed specifically at those over 50 who find themselves without insurance and, as a result of their age, are more likely to have health problems that might prevent them getting onto other plans. Typically, these plans are open to anyone over the age of 50 who can afford them, with no medical barriers to acceptance. Premiums are fixed at a rate depending on how big a pay out you require. There is no term, but unlike some other whole of life policies, these plans cannot usually be cashed in. Most people choose to set their cover at a level that will cover their family’s main ongoing expenses whilst maintaining a good standard of living. Outstanding debts are therefore of paramount concern and, in many cases, a mortgage will the biggest worry. As a result, a lot of home owners choose to set their cover at a level that will allow them to pay off the remainder of their loan (with enough left over to cover other expenses), whilst choosing a term of equivalent length to their loan agreement. This way they know that if that do out live the term of their policy, the burden of their debt will already be gone. Aside from simply covering debts, another rough guide you can use to get an idea of how much cover you may need is to multiply the annual salary of your family’s top earner by ten. This should provide enough to cover the care of children if, for example, one partner needs to temporarily give up work. As well as setting an appropriate level of cover, with the exception of whole of life policies, you also need to think about exactly how long you’d need the cover for, as there’s no point taking out more protection than you need. For example, if your main aim is to be able to provide for your children should you die, the term need only extend to such a time as they’ll be able to cope for themselves. If it’s for a partner that you help support financially, it could just run until they’ll be able to claim their pension. Finally, don’t feel like you have to go for a nice round number. If you only need a 19 year term, take out a nineteen year term. There’s no need to round it up to 20. Should I Get a Single or Joint Policy? If you and your partner are weighing up your insurance options you will likely find that you can save a significant amount of money by going for a joint policy rather than insuring yourselves individually. However, you need to bear in mind that a joint policy will give you a much lower level of cover. This is because the policy will only pay out for the first death. This means that should you or your partner pass away, the survivor will be left without any further cover. It’s always worth comparing quotes for a joint policy against the combined cost of what you are able to obtain individually. In addition, remember that it could be possible to use a combination of individual policies to better reflect your financial situation. For instance, if there’s a large discrepancy in your incomes, you may find you get all the cover your family needs for a better price by placing the main earner on, for example, a guaranteed whole of life plan, whilst the other partner takes a cheaper option. Critical illness policies are often offered alongside or as add ons to life insurance policies, however, you should think carefully before signing up to a policy. Though they sound as if they’re designed to give you financial protection should you be unable to work, they usually only cover a limited set of specific conditions. You may well find that by having a life insurance policy in place with some form of income protection policy, you may not even need any more cover. If you are interested in taking out a serious illness policy you should make use of a specialist adviser who’ll be able to work with you to ensure you end up with the cover you need. If you already have life insurance, but feel you could have got a better deal elsewhere, you aren’t stuck. If you can secure a cheaper quote, you’re free to go ahead and take at a new policy before cancelling your old one. It’s worth remembering that part of the beauty of a product such as level term insurance is that you’re premiums are set at a fixed rate for the whole of your term. This is attractive as, inevitably, we’re more at risk of dying as we get older. Therefore, if a considerable amount of time has passed since you took out your policy, you may find it harder to get a cheaper premium on a new plan. If planning a move, you also need to think about the fact that, unless you have a policy with a cash value (such as a with profits whole of life plan, for instance) you won’t be getting any return on the premiums you’ve already paid. It makes sense to factor this loss into your calculations when deciding if it’s worth moving to a new plan. Should I Buy Through a Broker? Using a broker can save you thousands of pounds, especially if they’re cheap. Indeed, brokers only exist in the first place because they have access to deals that insurers simply won’t offer to individuals. So, even you are able to hunt down the perfect policy on your own, there’s still a good chance you’ll be paying more by going direct. However, whilst choosing to use a broker is relatively straightforward decision, picking which one to use is a little trickier. All brokers have different arrangements with insurers and different levels of access to different deals, so it’s important to shop around as much as possible to see who can offer what you want at the best price. The advantage here is that since many life insurance products are very straightforward (for instance, with level term insurance you pick your level of cover, the length of your term and then either survive or claim) you can rest assured that you won’t be losing out by simply going for the cheapest policy that provides the cover you’re after. This makes the sometimes laborious process of shopping around a lot easier. As many of these products are so simple, you can make further savings by going for an ‘execution only’ broker. When you take on a broker on this basis they will simply find the best deal for the cover you tell them you need, rather than furnishing you with advice. Of course, if you’re situation is a little complicated enlisting the help of a professional to help figure out an airtight insurance plan can be very prudent. Brokers will offer a ‘with advice’ service which, as the name suggests, will entail helping to establishing the best policy for you, as well as tracking down a great deal. If you want to make sure that your life insurance plan makes sense alongside your other financial affairs you may be better off talking with an Independent Financial Advisor than a broker, as they’ll be able to take a wider view of things. Your life insurance policy counts as part of your estate along with all of your other assets. As such, it’ll be subjected to inheritance tax which can take quite a toll on the amount your loved ones will end up receiving. One step you can take to avoid paying more inheritance tax than necessary is to place your policy in a trust. When an asset is placed in a trust it is set aside and handled by a trustee until the beneficiaries are intended to receive it. By writing a life insurance policy in trust you can ensure that, when you die, the funds will be paid directly to those intended to receive them. It won’t go into your legal estate and will therefore not contribute towards the £325,000 threshold under which no tax is payable. Another advantage of having your policy written in trust is that your named beneficiaries will receive their money quicker. This because probate (the process which establishes whether the executor of your estate has the right to deal with your possessions) does not to need to be granted for the trustee to pass the money on to people it’s intended of. Having a policy written in trust is straightforward and will generally be offered to you as a free optional service by your insurer at the time you take the policy out. Despite the many upsides to writing in trust, there are potential down sides. For instance, you will lose some of the flexibility you might otherwise have. Trusts are difficult to cancel once they’ve been put in place, so you need to think carefully before setting things in stone and be sure to seek out advice as to whether it’s the best thing for you. In most cases, if, for whatever reason, you find yourself unable to pay your premiums, you will lose your plan. Needless to say, if you’ve spent a decade or more paying into a policy only to loose it, it could have disastrous implications for you and your family. Going for a policy with a waiver of premiums provision can help you ensure that, should you be able to continue working due to an ailment of some kind, you’ll remain covered. Normally, such a provision can be added to a policy for a relatively low increase in premiums. If you think there’s a chance that illness will prevent you from being able to pursue your line of work, this could be something to consider. Obviously, (at least for most kinds of life insurance) the healthier you are the cheaper your premiums will be. This is because the insurers stand to benefit from your vitality. In the case of policies that have a set term, being in good health means there’s a better chance you’ll survive the length of your cover, and, in the case of a whole of life plan, living longer means you’ll contribute more towards the inevitable payout. This does not mean that you’ll get better value by failing to speak up about any health issues that you might have. Aside from any specific exclusions that might apply to the policy, there will be a clause where it’s stated that the non-disclosure of relevant medical information will invalidate the policy. This means that, following your death, if it comes to light that you held something back, there may be no pay out for your loved ones. Given that many insurers will check through your health records, it’s important to be thorough. This can apply to even seemingly innocuous things such allergies, so make every effort not to leave anything out. Again, when dealing with brokers, you need to tell them of any relevant health problems you might have as, if they don’t know about your issues they may put you onto to a plan assuming that you’re in perfect health. If you do have a range of medical issues, or if you don’t like the idea of having to disclose your medical issues, you could find that, even though they are expensive, it’s cheaper for you to with a plan that requires no medical information, such as the specialist over 50s’ cover discussed up the page.